Not long after this little guy came to see me at my natural light studio in Lynchburg, VA for his newborn session, I made the one hour trip out to his home in Gretna, VA to capture what life looks like for his family now that he has made his arrival. In-home newborn sessions are reserved for clients who book 3 or more photo sessions with me in their baby's first year. Peter's parents are absolute naturals with him and I really enjoyed capturing the connection between each of them. Did you know I have also had the pleasure of photographing Adam and Lee Ann's engagement session, wedding, annual family portraits, maternity pictures, and Peter's birth story? Here's what Adam recently shared about working with me on a google review. 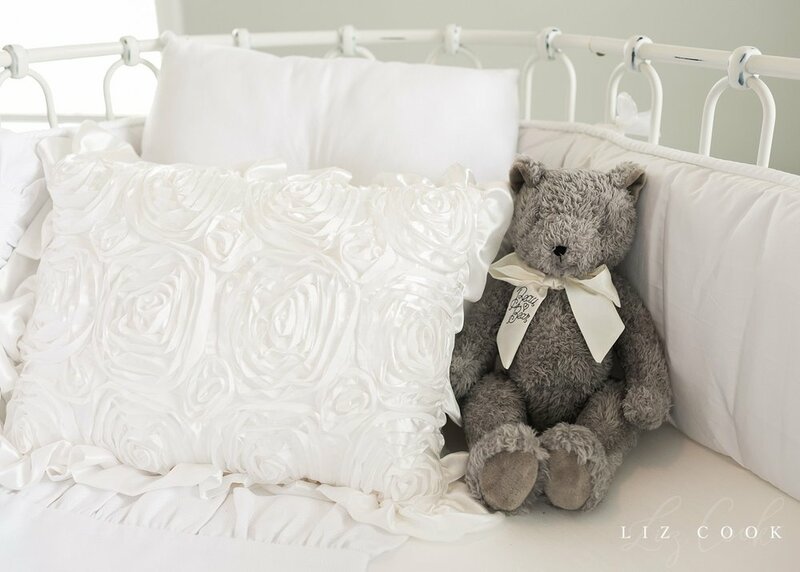 "We have been using Liz for almost 5 years now, and could not think of using anyone else. From our wedding to the birth of our first child, the results have been nothing but amazing. Not only is her work stunning, but her personality is second to none. She has a way of making you feel comfortable and at ease, which I didn’t think was possible. 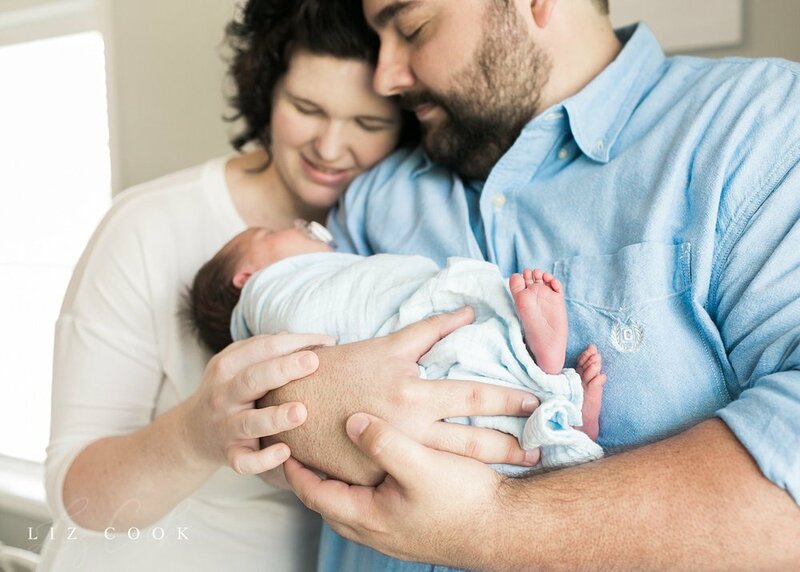 Our most recent experience with Liz was for birth/newborn photography and we could not have been more pleased. 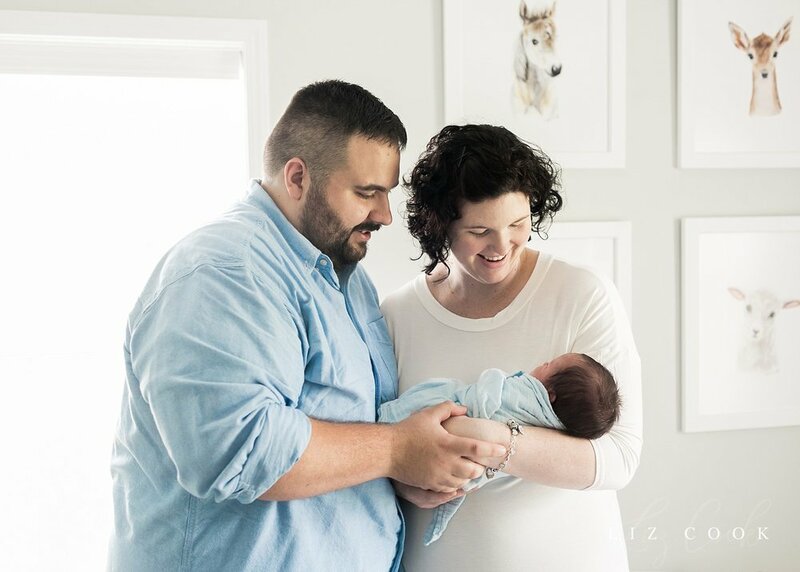 From the delivery room to our son’s first years, the images Liz has captured are moments we will never get back, and an investment that will be cherished forever." - Adam W.
The goal of my photo sessions is always to create beautiful imagery while also providing a relaxing environment for everyone involved, but this time I have to give all the credit to Adam and Lee Ann for the relaxing atmosphere! 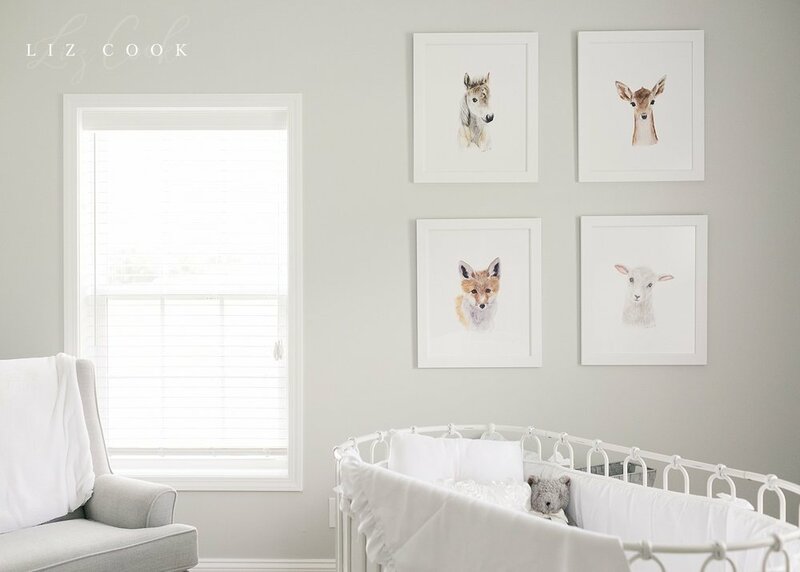 Don't you just want to take a nap in this beautiful nursery? Here are a few of my favorites from our time together! Are you expecting and ready to book your newborn session? I am currently booking sessions as far out as early fall 2018. Newborn sessions are best scheduled before your baby has arrived. If you have waited until the last minute, please contact me - if I am able to fit you in, I will! I don't want you to miss out on the opportunity to have this short and sweet season of life documented.